Our bestselling Product Table plugin is the perfect WooCommerce price list plugin. 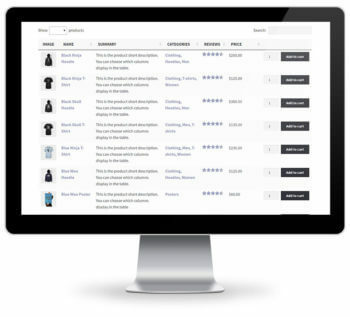 You can list products in a simple price catalog or a more advanced table with extra columns and filter options. Read our tutorial about how to create a WooCommerce price list.